IDF ambushes terrorist cell which planted explosives, threw firebombs at Israeli vehicles. 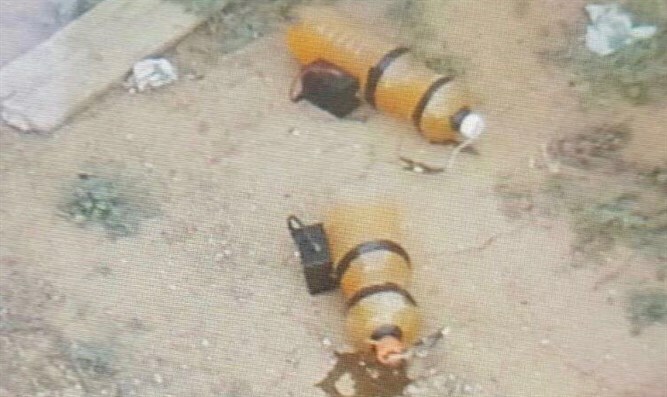 Reserve soldiers from the Fire Brigade carried out an ambush on Sunday at the entrance to the village of Deir Abu Mash'al in Binyamin, in order to apprehend a terrorist squad that placed improvised explosive devices and threw Molotov cocktails in the area. The ambush that was deployed included forces in several locations on the road in which they were thrown at Israeli vehicles in recent weeks. The forces identified terrorists who placed a 'ripening bomb,' a burning tire with a gas cylinder on the main road near the Jewish community of Neve Tzuf. At this point, the soldiers fired at the lower body of the terrorists and after fleeing the vehicle, shots were fired at the front bracelet. The forces reported four terrorists who were wounded, one of them seriously. The terrorists managed to escape in their vehicle towards the village of Abud and Beit Rima, and later attempted to burn the evidence.